The Bowler aka Jez Felwick, one of London's most established street food traders (he's written a cookbook too) has started his first pub residency, at The Horse and Groom in Curtain Road, Shoreditch. Open from 12 noon until 2pm, and then from 6.30pm - 9.30pm every weekday, and on Saturday evenings too, he will serve from the delicious menu below. Takeaway also available. 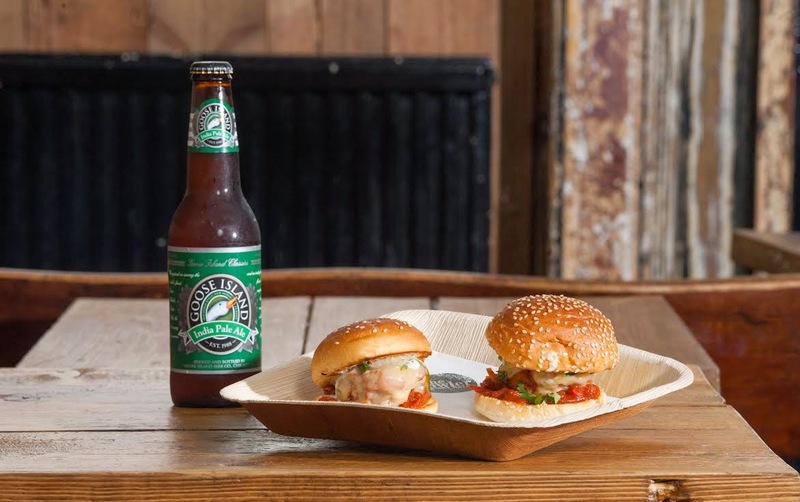 "The Bowler, London’s original meatball food trucker, opens Street Food Kitchen on Wednesday 24th September in the newly refurbished Horse & Groom Pub, Curtain Road, Shoreditch. It will run into Spring 2015. 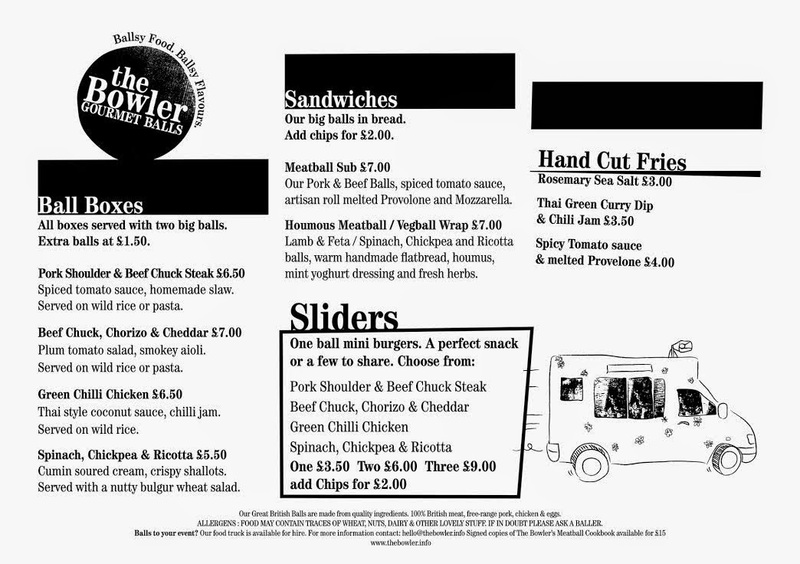 The menu contains popular staples from The Bowler’s food truck, subs, salads & sides, as well as recipes from The Bowlers Meatball Cookbook and will be served lunch & dinner Monday – Friday 12pm-2pm, 6.30pm-9.30pm, as well as Saturday evenings. The venue aims to bring many elements from street to static site, with takeout food being ordered and collected from the open plan kitchen counter to maintain face to face service, with seating in the upstairs dining bar – all served up with founder Jez Felwick’s signature wink. People can also eat and order downstairs, which also includes the DJ Bar Snacks counter. Here the theatre of the street exists with a small service station set up in the DJ booth serving smaller bites including ‘Nacho Balls’ and sliders. The Bowler wants to bring the camaraderie of the street scene to The Horse & Groom and will be lining up Street Food Kitchen Takeovers with fellow truck traders, including Anna Maes Mac ‘n’ Cheese, Luardos Mexican and Spit ‘n’ Roast, there will also be a small Street Food Pantry selling condiments that started out being sold on the street including The Ribman & Prairie Fire BBQ sauces, as well as Popcorn Kitchen."